I love carbs. Bad carbs. Chips, pasta, cookies, CUPCAKES, enchiladas, ummm…bread, muffins, pizza, I could go on for days. It’s no secret that all of these things are horrible for the waistline. Buuut, sometimes you just need comfort food. So this my friends, is a recipe that’s no good for the waistline but oh so delicious. It combines two of my favorite foods. Pasta. And tacos. Pasta tacos! Salsa, sour cream, diced tomatoes, olives, shredded lettuce, whatever toppings you’d normally like on tacos. 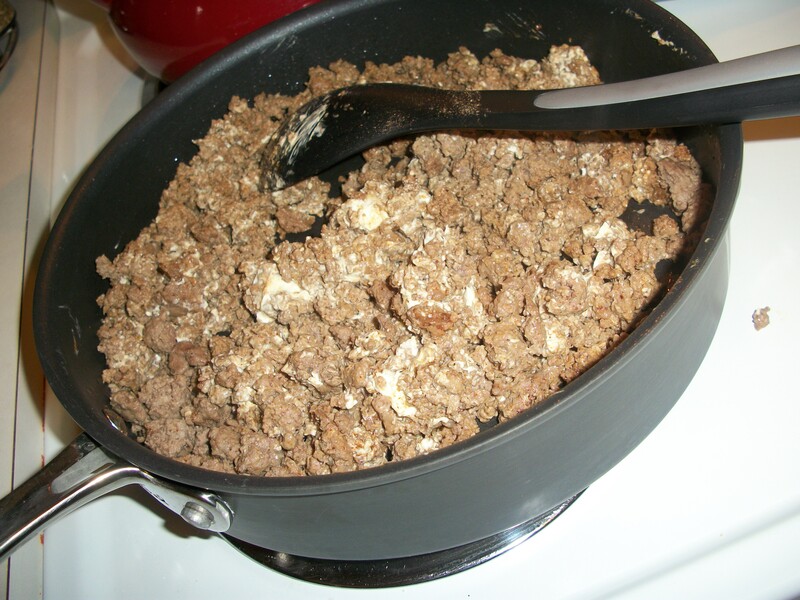 -Brown ground beef in a large skillet until no longer pink. -Mix in cream cheese, seasoning & Cholula. Allow to simmer for a few minutes. -Bring a large pot of salted water to a boil. Cook pasta shells until al dente, drain. 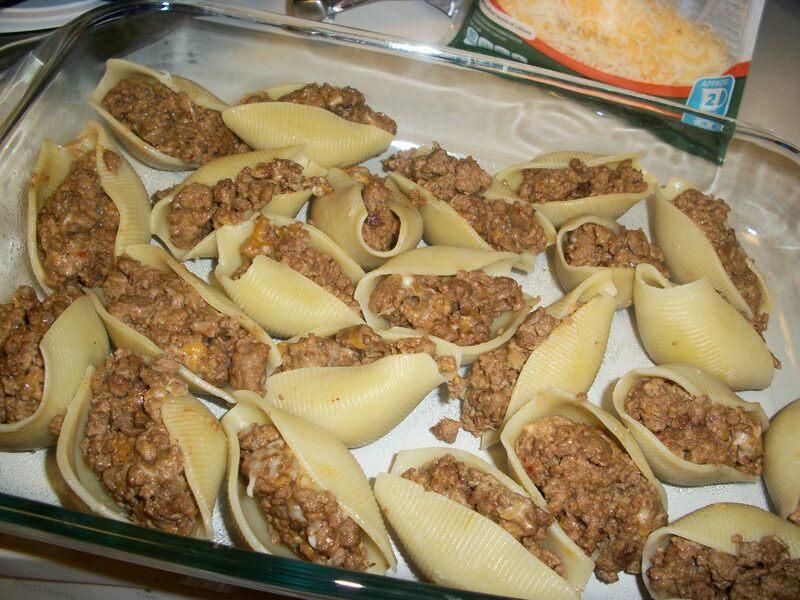 -Fill shells with ground beef mixture and place in 9×13 inch pan sprayed with cooking spray. 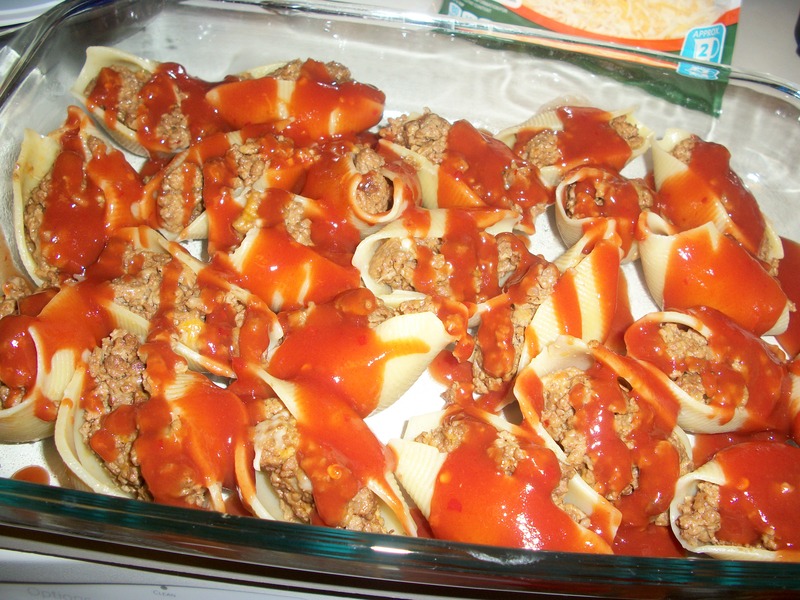 -Pour taco sauce over shells. -Cover with foil, bake for 15 minutes at 350 degrees. 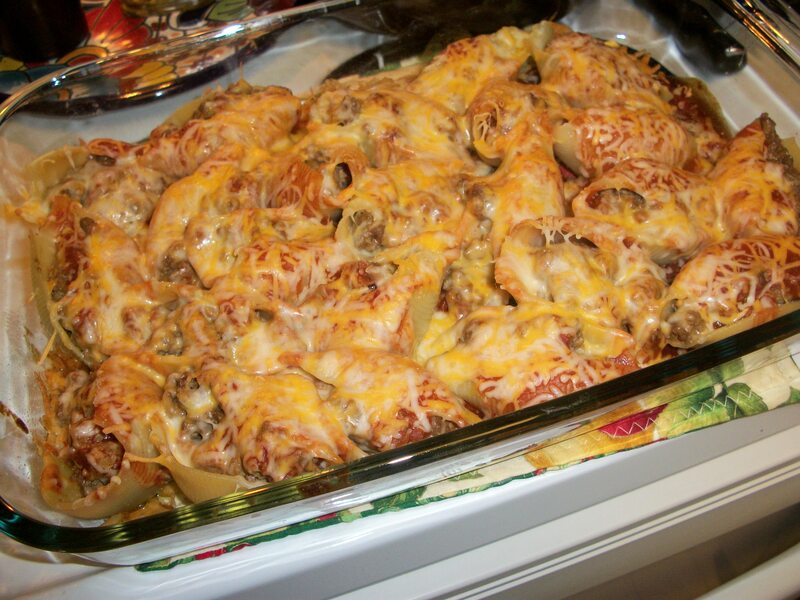 -Remove foil and cover pasta with cheese. Bake for an additional 15 minutes or until cheese is melted. -Top as desired and enjoy! FYI- This stuff is even better the next day! Today the hubs and I met some friends for brunch and drinks. Heavy on the drinks. This left me slightly hungover at 8pm. I watched some of the Super Bowl (okay, really just the halftime show) and then finally got around to watching “Crazy, Stupid, Love”. I really liked the movie’s honesty and didn’t mind seeing Ryan Gosling shirtless either. My slight “hungoverness” had me mad craving popsicles so when I returned our Redbox movies (we watched The Hangover 2 last night), I grabbed a box of pops. Sometimes a popsicle is just soooo good! What did you think of Madonna’s performance at the Super Bowl? How about the commercials? I liked that she didn’t keep the spotlight to herself, I totes dug the cameos by Nicki Minaj and Cee-Lo. I LOVED that she ended with “Like a Prayer”, my fave song evah! Other than that, it was kinda lackluster in my humble opinion. I didn’t see many commercials but it sounds like the M&M one was an all-around favorite.